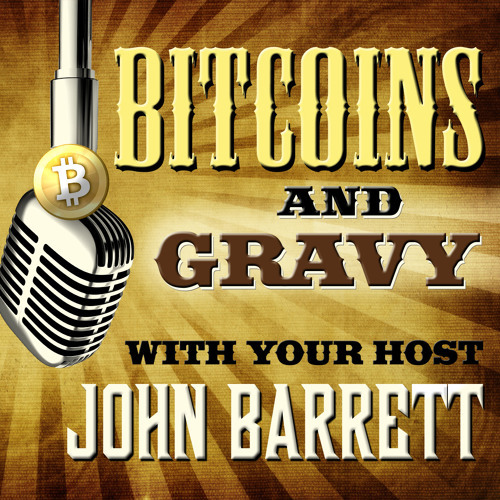 Bitcoins and Gravy Episode #52: Fool’s Gold & Dolphin Tanks! On today’s show I am honored to be speaking with Dr. Charles Evans, Professor of Finance and Economics at Barry University in beautiful Miami Shores, Florida. Dr. Evans talks to us today about fool’s Gold, Dolphin tanks that replace shark tanks, the Lighthouse project by Mike Hearn and how a lot of people may be unknowingly stepping over sacks of money in their rush to get rich. Magic Word Hidden in each episode of Bitcoins and Gravy is a Magic Word. I know that it may sound absurd, but listen for the Magic Word and you can earn LTBcoin! First set up a free account at LetsTalkBitcoin.com. Then tune in to your favorite LTB podcast and when you hear the Magic Word, don’t delay! Submit it to your account and by doing so you will earn a portion of the week’s LTBcoin distribution. Setting up an LTB account has always been fast and easy . . . but now it’s profitable!!! CREDITS: Conscious Entrepreneurship Foundation (CEF) website: http://ConsciousEntrepreneurship.org CEF Reddit page: http://reddit.com/r/CEFNow CEF Facebook group: https://www.facebook.com/groups/conscious.entrepreneurship/ Bitcountant: http://Bitcountant.com Bitcoin of the Americas: http://BitcoinOfTheAmericas.com Hans Rosling, "200 Countries, 200 Years, 4 Minutes" https://www.youtube.com/watch?v=jbkSRLYSojo Hans Rosling, "Let My Dataset Change Your Mindset" http://www.ted.com/talks/hans_rosling_at_state?language=en Africa for Norway, "RadiAid" https://www.youtube.com/watch?v=oJLqyuxm96k Bitcoin Films, "Bitcoin in Argentina" https://www.youtube.com/watch?v=e__m-w4N7NI Bitcoin Films, "Bitcoin in Uganda: Empowering People" https://www.youtube.com/watch?v=7Pq-S557XQU ********** Ode To Satoshi Ode to Satoshi lyrics & melody by John Barrett Copyright 2014 RJM Publishing - BMI Nashville. Lead Vocal, Harmony Vocals, Harmonica, Snare Drum: John Barrett Harmony vocals: John Barrett, Connie Sinclair and Lij Shaw Guitar: Jonathan Brown Mandolin: Ben Miller Bass Guitar: Michael Rinne Initial tracks recorded by Mark Thornton of Sidekick Sound Studios, Madison, TN. All other tracks Recorded, Mixed and Mastered at The Toy Box Studio, Nashville, Tennessee Engineer: Lij Shaw. Assistant to engineer: Don “The Don” Bates Produced by John Barrett & Elijah “Lij” Shaw Special thanks to Alex Munoz Guijarro for his excellent pedal steel playing on many of our shows. Interviews for this episode were edited and produced by John Barrett at The Tree House Studio - East Nashville, Tennessee. Theme song “Gravy” by the band, Eleanor Roosevelt with Lij on fiddle. And a big thank you to my good friends at The Tennessee Bitcoin Alliance: TennesseeBitcoin.org Questions or Comments? Bitcoins and Gravy Hotline: (615) 208-5198 Hey y’all! Leave me your questions, comments or suggestions about the show and please speak slowly and clearly. I would love to use your voice on the show and your feedback really is valuable to me! (NOTE: If you would rather I did not use your voice, please say so on the message and I can simply reply to your question without using your voice). To find out how to advertise on Bitcoins and Gravy, just email me at: Howdy@bitoinsandgravy.com Visit theWebsite: BitcoinsAndGravy.com Bitcoins and Gravy Tipping Addresses: Bitcoin: 1ByqQXLTm9JZGSwnfqCCakaifBt3grQkXS Litecoin: LgqYgxLTBPgr8C1JGLLJVLK4ZN1fveprAp LTBcoin: 18iGEi3ou4523M6eECAf1rWygaSBXBRR63 And if you don’t feel like contacting me, just kick back, relax and enjoy the show. I hope you enjoy listening to my guests as much as I enjoy talking with them! Download Episode #52: Dolphin Tanks and Fool's Gold! Users who like Episode #52: Dolphin Tanks and Fool's Gold! Users who reposted Episode #52: Dolphin Tanks and Fool's Gold! Playlists containing Episode #52: Dolphin Tanks and Fool's Gold! More tracks like Episode #52: Dolphin Tanks and Fool's Gold!